The default version of WordPress allows you to add images to posts and pages, but this is rather limited — if you’re serious about attracting new clients, it just won’t cut it. Remember: if you’re claiming to be a professional, creative individual, then you need a professional looking, creative portfolio, right? The good news: there are loads of great portfolio plugins available for WordPress, to allow you to build a beautiful showcase for your work. Many of them are beginner-friendly, and come with enough customization options to make your portfolio your own. Today, I want to introduce you to 5 of the best portfolio plugins. Nimble Portfolio is a feature-packed portfolio plugin that’s entirely free. With this plugin, you can create a wide range of different types of portfolios. For example, you can create galleries filled with posts, pages, images, videos, and even WooCommerce products. Each element of your portfolio is displayed in an attractive circular thumbnail. Once your users click on a certain element of your portfolio it’ll pop-up in a lightbox. There’s also a built-in filtering feature that lets your users sort your portfolio based on the type of media they want to see. Plus, your portfolio will look good on any screen size as the plugin automatically creates responsive portfolio pages. If you want to add even more features to your portfolio, then there are a number of premium extensions you can purchase. These will give you additional options like more sorting options, portfolio skins, light boxes, and more. If you’d prefer a free plugin for displaying your portfolio in an eye-catching way, look no further than JetPack. WordPress’ own all-in-one style plugin includes built-in support for styled, tiled galleries. 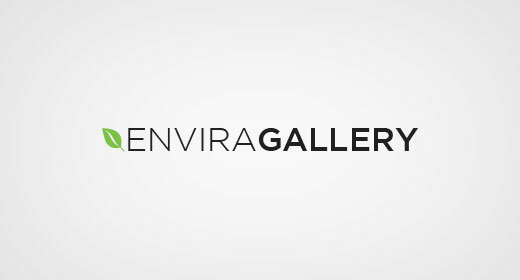 This makes it super easy to add galleries to your website (perhaps with no new plugin needed if you’ve already got it installed). The Jetpack galleries include a few styles (tiles, squares, circles), multiple column options, custom widths, and an optional single image gallery view. The portfolios are also fully responsive. Once you’ve activated the Jetpack tiled galleries features, you simply insert galleries to posts like normal – except they’ll be styled (automatically) according to your Jetpack settings. 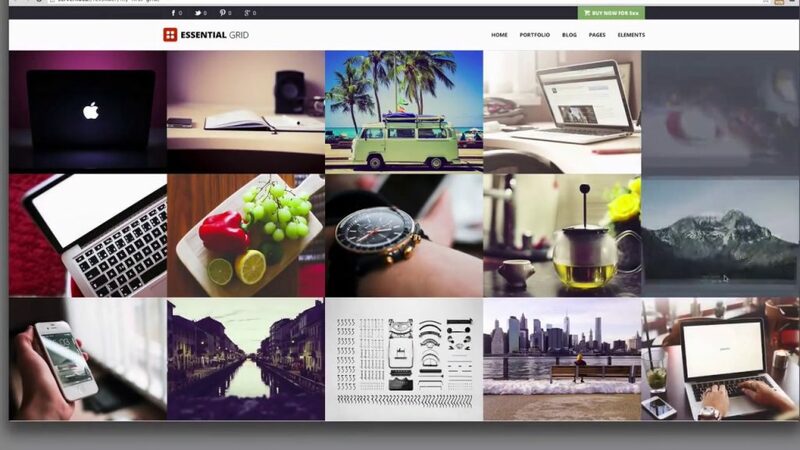 Essential Grid Premium WordPress Plugin is an all-in-one portfolio builder. It truly shines in its flexibility and versatility. If you’re not quite sure how you want your portfolio page to be structured, then this plugin can be incredibly useful. It’s equipped with 30 different skins you can use to craft a unique portfolio. Plus, it has its own drag and drop builder that allows you to create your own skin, giving your portfolio a one-of-a-kind look. No matter what kind of media you want to use for your portfolio, this plugin can more than likely support it. You’ll be able to craft a portfolio with images, audio, video, blog posts, logos, and even WooCommerce products. Every portfolio you create is also fully responsive and can be filtered by your visitors so they can see the exact kind of content they wish. If you’re looking for a premium WordPress portfolio plugin that affords you the flexibility to do whatever you desire with your portfolio, then this plugin is worth checking out. If you just want to display some images in a grid or pull in content from a “portfolio item” post type that you’ve created, you’ll probably be happy enough with any of the grid plugins. If you have any specific needs, you’ll want to poke around the feature list and demos – for example, some have better video players than others. But at a high level, they’re all doing mainly the same thing. If you’re looking to show off websites that you’ve built, give WP Portfolio a look because the way it offers a live preview is pretty unique. And if you’re looking to showcase video or audio, definitely make sure to pick one that lets you embed the player right in the portfolio. A lot of them will do it, but I especially liked the way Essential Grid handles externally embedded videos (example here). Remember, to use any of the awesome plugins above you’re going to need a host, a domain name, and a website running WordPress. If you haven’t found the right host yet, consider Webhostingworld.net’s WordPress hosting. Previous post: Domain names and SEO: Everything you need to know!